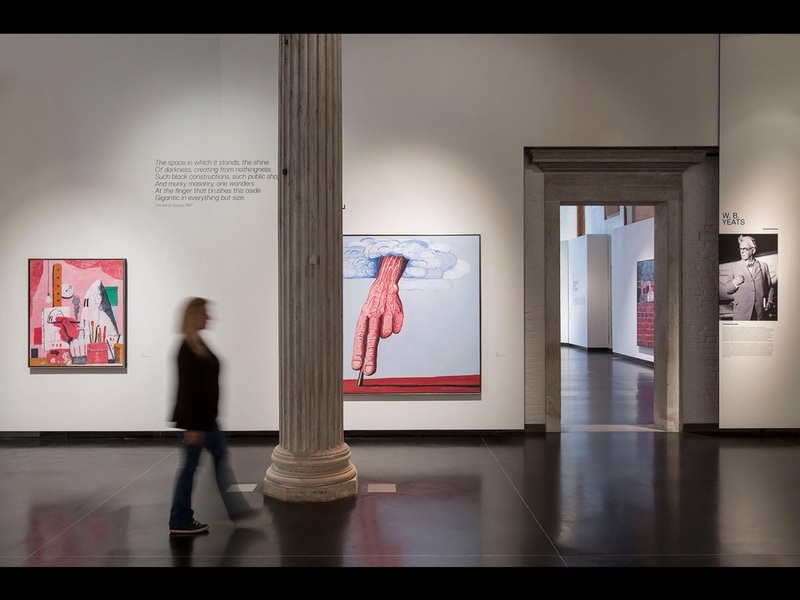 It caught me by surprise as I arrived at Marco Polo Airport, the sign proclaiming the Accademia’s summer exhibition PHILIP GUSTON AND THE POETS. The Gallerie dell’Accademia di Venezia has staged this show as a ‘Collateral Event’ tying in with the 57th Biennale – and it’s so good it’s reason enough to go to Venice this summer. I smiled with glee as I saw these works and greatly enjoyed the thought that had gone into connecting Guston’s paintings with the work of D H Lawrence, W B Yeats, Wallace Stevens, Eugenio Montale and T S Eliot. 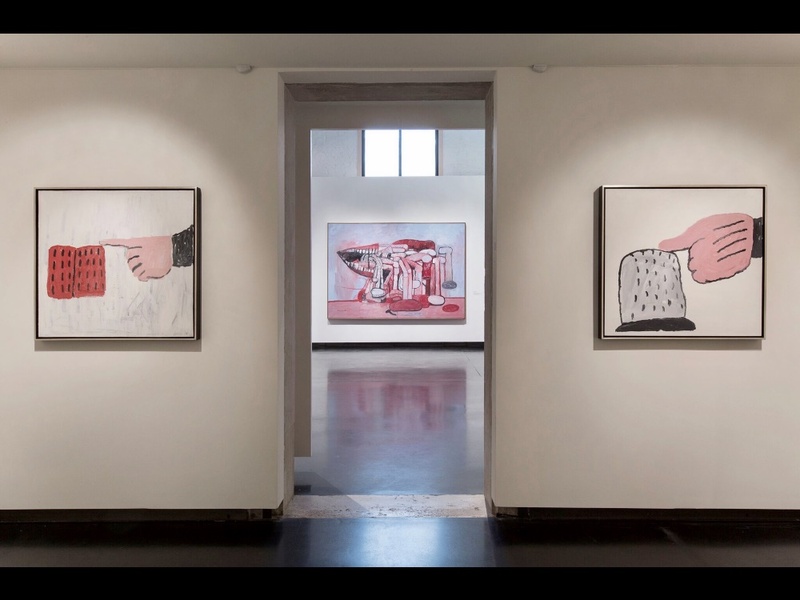 Guston, who died in 1980, was passionate about the masterworks housed in the Gallerie dell’Accademia which are said to have influenced his work. This is the first exhibition of his work in Venice. There are 50 major paintings and 25 drawings on display along with thoughtful and revealing text which explores the ideas of the five poets as inspiration for the artist. 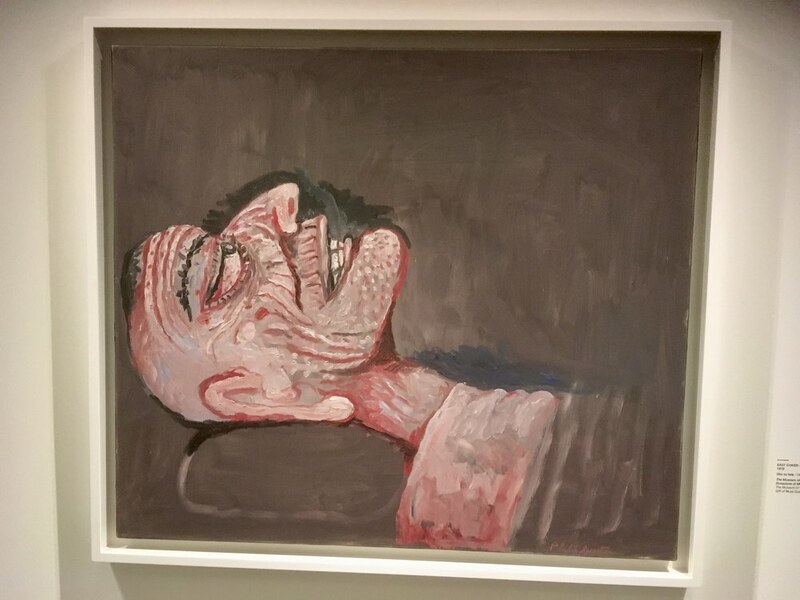 You are reminded afresh of the audacity of Guston’s work and the thoughtfulness lying behind it. His often cartoonish style belies an intensity of focus and feeling. It’s no surprise that many important artists cite Guston as a major influence on their work. Guston’s 1979 canvas The Line is paired with W B Yeats’ poems “Sailing to Byzantium” and “Byzantium“, with references to the country of the mind and a state beyond life. The sobering East Coker – T.S.E is an explicit reference to T S Eliot’s poem East Coker in his work The Four Quartets and is a sombre meditation on death. 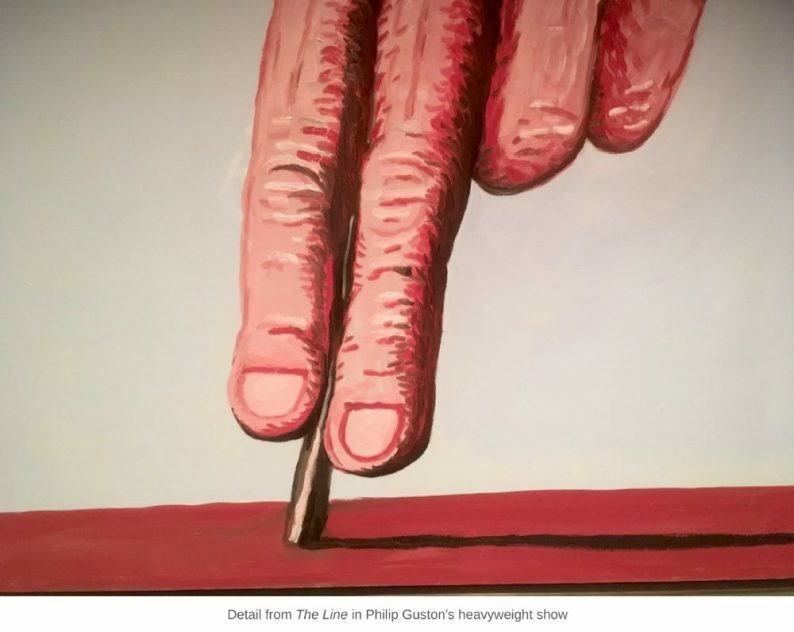 A film – Philip Guston: A Life Lived -by Michael Blackman is shown on a loop as part of the exhibition and is well-worth watching. The film-maker has imposed none of his own narrative and refreshIngly allows Guston to speak for himself in an unmediated fashion, making the viewing experience all the more compelling. The Accademia is better known for displaying the work of Tintoretto, Titian and Veronese and such works can still be seen in the rest of the gallery. 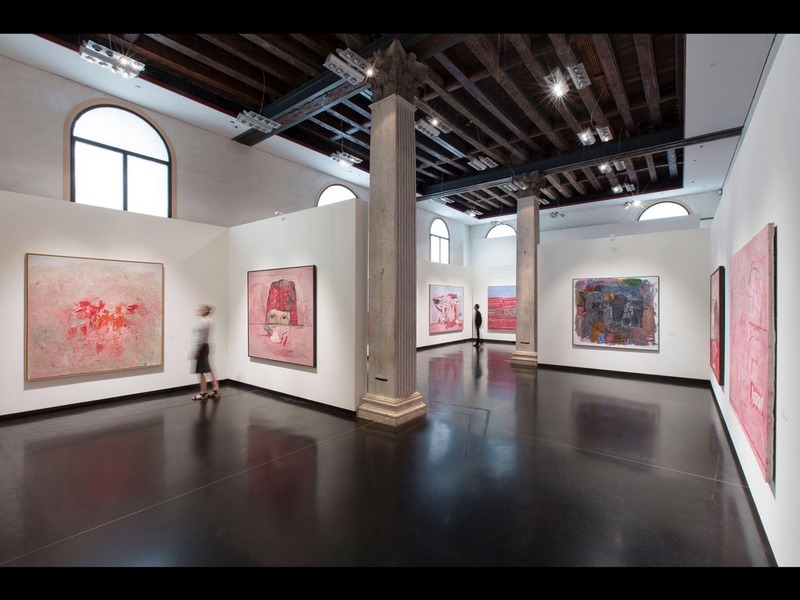 Philip Guston And The Poets runs until September 3, 2017.